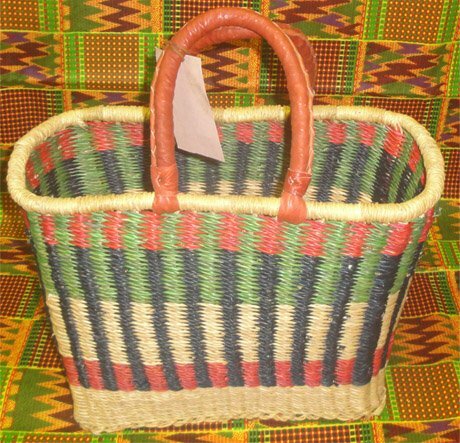 Practical and mobile, large two-handled baskets from Ghana are strong enough to haul as much weight as you want to carry! They are great for gathering things as well, like newspapers and magazines, and will last for years and years. 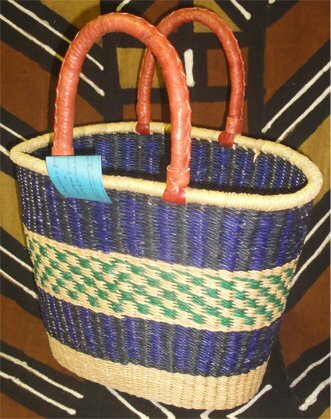 These two-handled totes take less floor space than our round market baskets, and so they are great for shopping and for use in the car. Leather-covered handles make them comfortable to carry and the colors and designs will bring plenty of compliments. 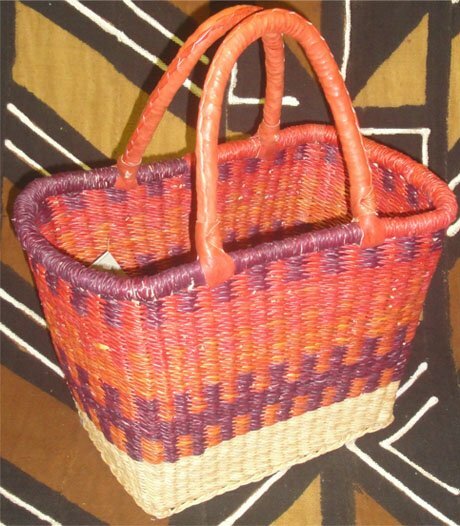 If a basket gets dirty or out of shape, simply wash it out with water, gently reshape it, and let it dry. 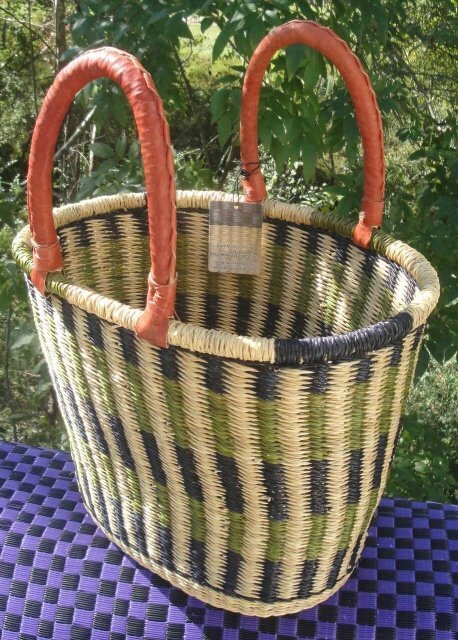 Your basket will be like new!